Indeed, the House of Representatives has increasingly become ungovernable for anyone—not just the much-maligned Gingrich. “It's insane,” adds Parker. “I wouldn't want to be in a foxhole with some of these guys.” Part of the trouble is the party's familiar ideological division: The House GOP conference is split among Southern evangelicals, Northeastern moderates, and Western libertarians. Gingrich, aware that the Democrats' fragmentation into unmanageable interest groups in the 1980s helped bring about their loss of control over Congress, tried to contain such factions in 1994 by defunding the myriad House caucuses. But dozens of new ones have since emerged, including the Missing and Exploited Children Caucus and the Pro-Family Caucus—all competing to achieve their narrow interests. The Republican conference is also split into two permanent warring camps: the Tuesday Lunch Bunch, a group of moderate Republicans, and McIntosh's Conservative Action Team, a coalition of social conservatives. After four years of fighting, some members barely speak to one another. And, without the Contract with America, there is no overarching concept to bring them together on the House floor—or anywhere else. The most notable of these changes is the most obscure: a new rule limiting committee chairmen to only three terms and the speaker of the House to four. Slipped into a rules package in the first heady hours of the Republican revolution, it was supposed to contain lawmakers' ambitions; instead, it has unleashed them. Livingston began campaigning for the speakership last summer only because his term as chairman of the powerful House Appropriations Committee was about to lapse. He had nowhere else to go but into retirement (which he also considered). Once be announced his candidacy, young members rushed to support his insurgency while launching their own: under the new system, they could climb the ladder more quickly by joining a coup than by stopping one. “The rule changes have created total chaos,” explains GOP Representative Joe Scarborough of Florida. They're “the dumbest thing we've done,” adds Resources Committee Chairman Don Young of Alaska. Even more destabilizing, though, are some members' self-imposed term limits. While Congress never passed term-limit legislation, several crusading lawmakers have voluntarily adopted them. Now they constitute a kind of roving band of mercenaries who wander the House floor, looking for somebody to topple. They have no incentive to work within the system—and no fear of reprisals from the Speaker. “The best thing about it is you get to really piss off some very powerful Republican every six months,” Congressman Matt Salmon of Arizona told me earlier this year. While shifts within Congress have institutionalized volatility, shifts outside Congress have made it nearly impossible to contain it. In the past, the Speaker could keep upstarts in line by threatening to give them lousy committee assignments, remove their names from major legislation, or even banish them to a basement office. But now a House rebel doesn't land on the Merchant Marine Committee. He lands on “Nightline.” And “Meet the Press.” And “Hardball.” And “Larry King Live.” Indeed, today's political dynamic operates in reverse; it punishes loyal team players with anonymity; while rewarding upstarts with celebrity. And it sustains them with the same perks that once only the Speaker could dole out: fame, direct exposure to voters, and access to campaign money. The failed coup attempt in 1997 did not end the careers of sophomore Republicans like Lindsey Graham and Joe Scarborough; it accelerated them. 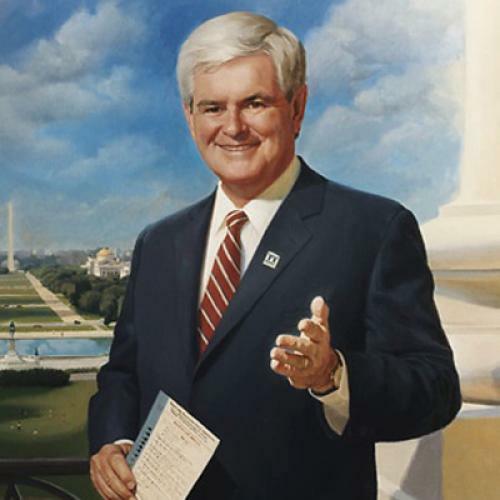 Despite Gingrich's threats of retribution, they won reelection overwhelmingly and became conservative icons. Another coup plotter, Steve Largent of Oklahoma, is now a serious contender for House majority leader after only two terms in Congress. Not surprisingly, when Matt Salmon concluded he could no longer support Gingrich, he didn't quietly pull the Speaker aside—he sent his message a la Ross Perot on “Larry King Live.” Less than 24 hours after Gingrich resigned, Salmon offered a postscript, in the form of an op-ed in The New York Times. Gingrich's one serious effort at exacting discipline actually succeeded only in demonstrating the impotence of the modern Speaker. In 1995, after a group of rebels bucked his order to vote in favor of ending the budget shutdown and reopen the government, Gingrich did what Joe Cannon, Sam Rayburn, or Tip O'Neill would have done in the same situation: he refused to attend their fund-raisers. Only it didn't matter. The money poured in anyway, and the rebels were unrepentant. It only made him more popular, Mark Souder of Indiana told me at the time. But some of the cannibals are already salivating. McIntosh, who tormented Livingston by clogging up the appropriations process with riders and repeatedly threatening to shut down the government, recently labeled the Speaker-in-waiting “an old-style-pork-caucus kind of guy.” Other rebels say they will press Livingston just as hard as they hounded Gingrich, and the party's razor-thin majority means they have even more power to do so. “There will only be more bloodshed,” says Parker. This article appeared in the November 30, 1998, issue of the magazine. Photo Credit: Wikimedia Commons.